When I saw this dress at Target, I knew that I needed it, but I didn't buy it right away. I waited because I knew that in a week or two it would go on sale. And guess what?! It did! 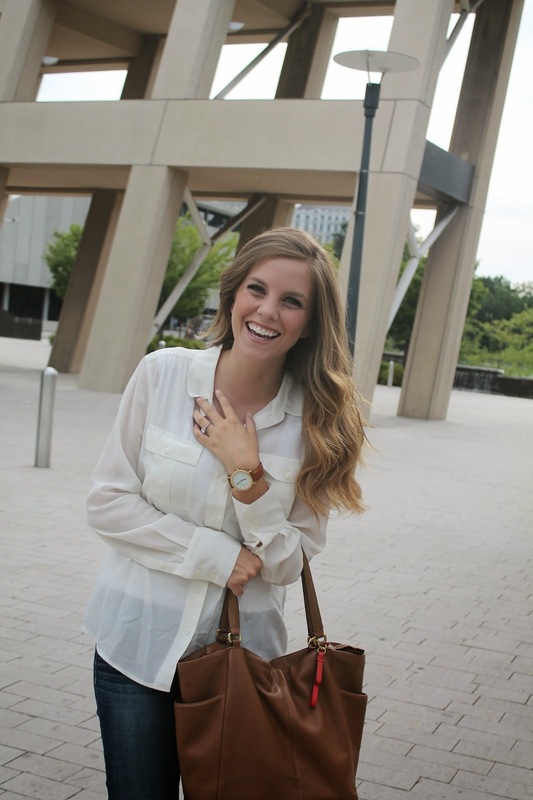 It's such a great casual dress, that I can dress up for date nights or dress it down for running errands. So once again-bravo Target! You make my closet very happy. Can you tell that I'm ready for fall? Husband and I cleaned out our close this past weekend and I gave my boots a hug and told them just a few more months. Nights are getting colder around here, so naturally I'm stocking up on cute hoodies/jackets/sweaters/cardigans. When Mindy Mae's Market posted that this hoodie was in stock, I HAD to purchase it. It's the perfect addition to my wardrobe and is super comfortable. If you use the code 'arrowsandapricots' you can receive 10% off your purchase! (This hoodie fits a bit snug. I'm wearing a small. If you want more of a loose fit buy a size up). What fall clothes are you stocking up on right now? If you can't already tell- I absolutely love my brown tote from Coach. Hubby bought it for me for Christmas last year, and I use it all the time! 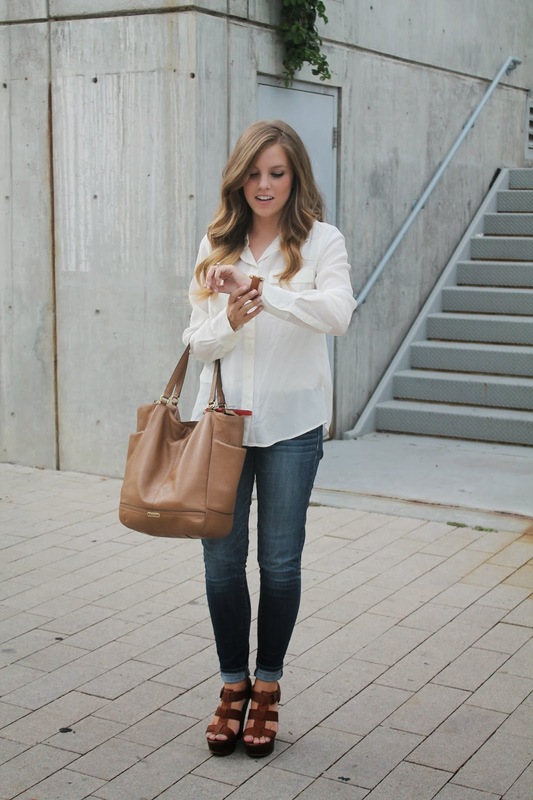 I love the size of it and how it is such a great neutral that I can pair it with any outfit. 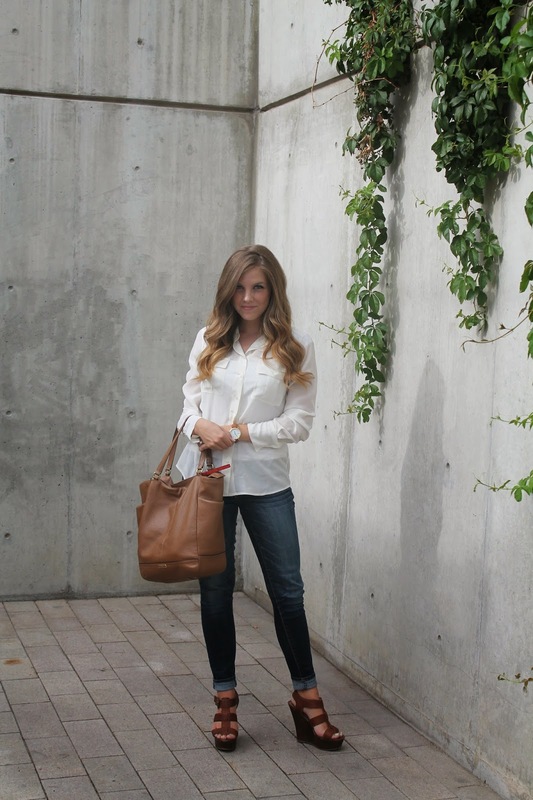 I love my silk blouse from J.Crew Factory as well, and it's on sale right now! I love how it can dress up a lot of my outfits. The problem is-it wrinkles SO easily. I ironed it right before taking these pictures, and when I got out of the car I wanted to cry! SO-sorry about the wrinkles. I guess that's life right? This past weekend, Shawna and I went to Craft Lake City. I was really stuck on what to wear because I knew we would be walking around a lot, so I just put on my camo green pants, white v-neck, and color block sandals (typical go to). 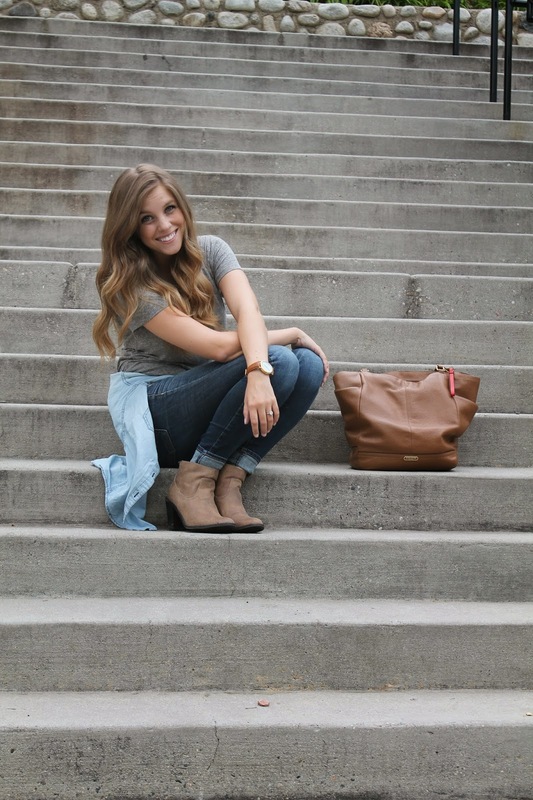 I love the look of jeans and a t-shirt, and felt completely comfortable walking around downtown Salt Lake all night. And FYI-these jeans are on sale right now at Cotton On. I bought one size up because they run small. Thanks for reading! I have been obsessed with the Brooke Necklace from Mindy Maes Market ever since I got it. I pair it with pretty much everything in my closet. And it's on sale right now (YIPPE!!) AND you can get an additional 10% off when you use the code 'arrowsandapricots'-you're welcome! This baseball sweater is on sale right now at J.Crew Factory, and let me tell ya-it's the most amazingly comfortable sweater you will ever put on your body. 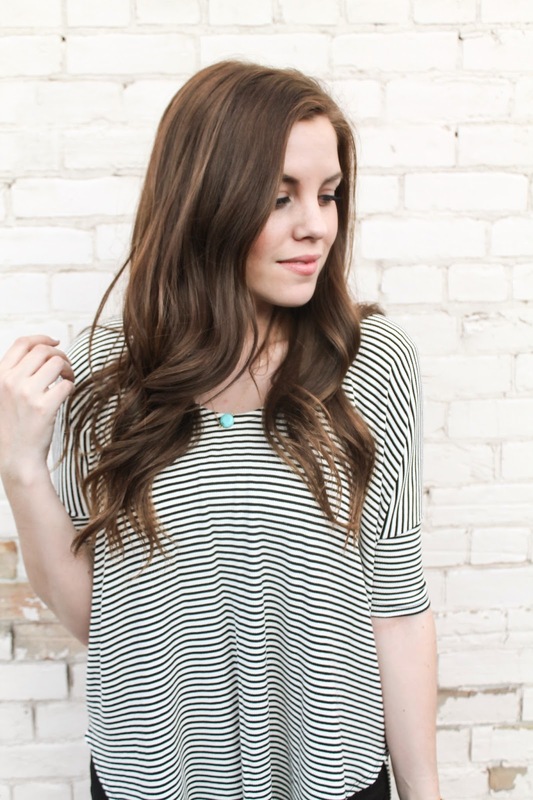 It's really light so it's easy to wear doing the summer, and it would be a perfect transition into fall weather. I love how it's a more feminine version of a baseball tee. It also comes in another color, which I just might go get before it's gone. I'm guest posting over on Mindy Mae's Market blog today! I love a good wardrobe staple! 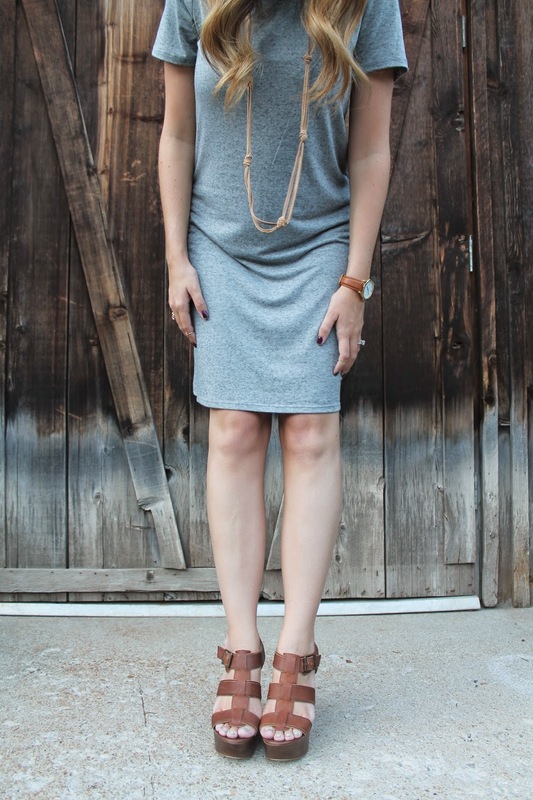 My gray tee and chambray shirt are always my "go to" staples in my closet, and I always seem to find a way to wear them. Lately, I've been trying to find things that I can transition from summer to fall and Pinterest has been my go to for inspiration. 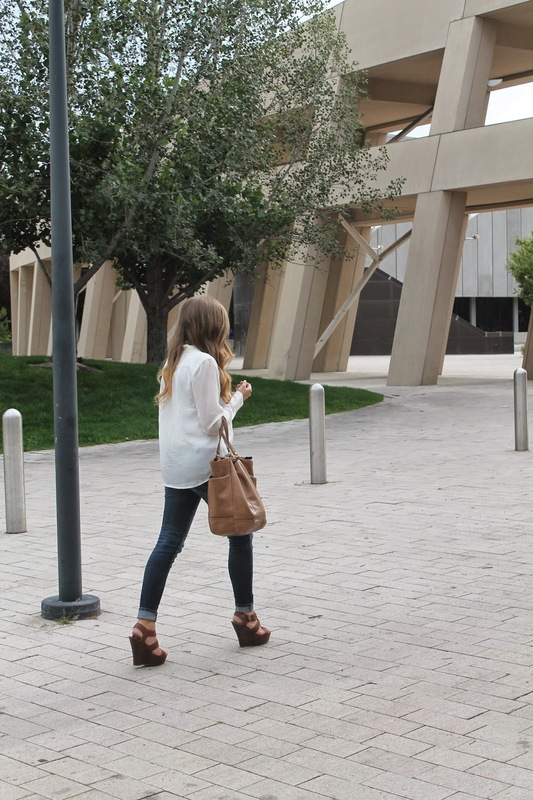 After spending a good chunk of my Sunday browsing through Pinterest, and all of the pins that I had pinned that day, I realized that I can't wait to start wearing boots again! I got these booties from Target last year, and I loved them so much that I snagged the black pair on clearance before they were gone. I found myself wearing them more than I thought I would, and have been dying to pull them out of my closet once fall hits! What are your favorite wardrobe staples? Anything you're looking forward to wearing once the weather gets cooler?